This Geiger counter measures alpha, beta and gamma radiation. Continuous measurement of radioactivity with data storage is possible and ranges from low environmental radiation levels of 0.01 mSv/h up to high radiation levels of 1000 mSv/h (legal limit value 20 mSv/h per year). The 10-key keypad offers a variety of information possibilities. The device comes with a CD-ROM containing a menu-driven Windows analysis software. 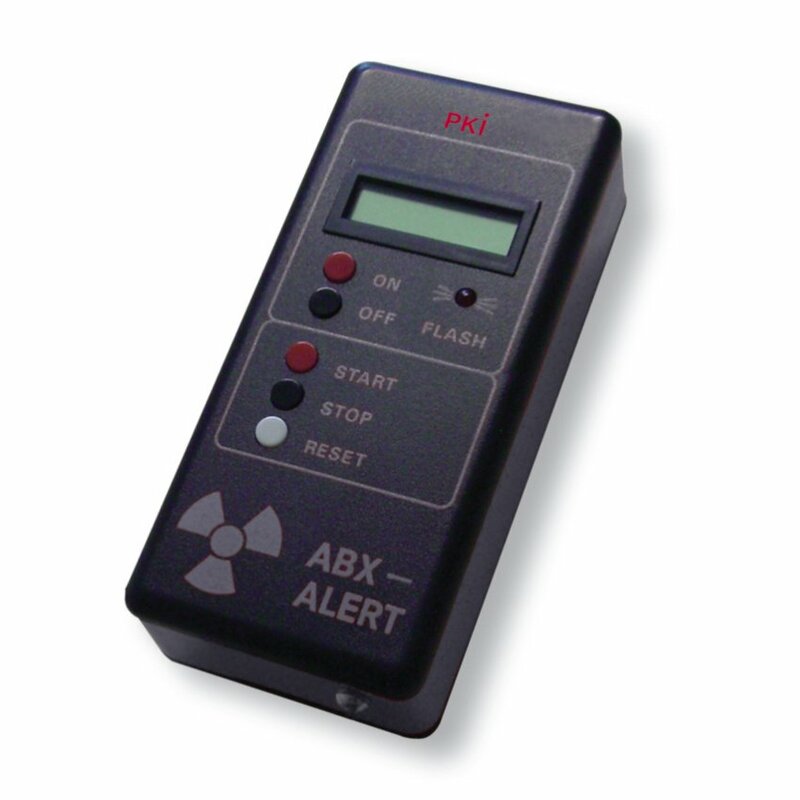 The PKI 8530 provides dosimeter function and display of the cumulated radiation level and also measures minimal changes of the radiation levels in your environment. Countable pulse resolution of 1 count per min., per 10 min, 1 h, 1 day or 7 days is possible. Operating time: 117,000 h at 20 pulses/min.